Anyway, this is not a review of The Witcher 3: The Wild Hunt, because hell, I'm still only about 1/3 through it (I'm a very casual gamer; it's been thirteen days since I last played, but this is mostly because of a busy December and the new DLC for Star Wars Battlefront, the game I hate to like). I am already convinced it is the greatest videogame of all time in many of its aspects (but not all). And the best evidence of this game's quality is that it drew me into its world and characters so well that I felt a need to finally explore those pre-existing novels. The ingenious thing about The Wild Hunt is that it pretends you already know a lot about the character relationships in the world. The writing is top notch; Geralt meets an old ally (or rival), and you can infer that there's history between the characters, but the game doesn't hit you in the head with it. It is the gaming equivalent of enjoying the novels of George RR Martin or Steven Erikson, and I never imagined a "mere" video game to be able to be so well written in terms of dialogue and exposition. Dammit now I am reviewing the game. 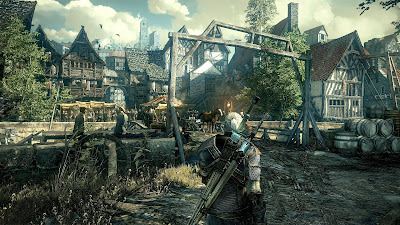 Anyway, yeah, it's a work of magnificent art despite some wicked flaws, and yeah, because of this game I learned there's this Polish author bearing the name Andrzej Sapkowski and all the cool stuff - the intriguing characters, the brutality, the war-torn lands - came from him rather than the producers of the videogame, CD Projekt RED. All right, I never really checked out the author (I only want his lore muhaha) but I saw a picture of him on Wikipedia just now and wow he totally doesn not look like I imagined him. For some unknown reason I envisioned Andrzej to look more like Bill Nighy. That's totally beside any kind of point, though. So I quickly tried to figure out which book to read, and in what order they should be read. A bit confusing, but manageable. The first thing to read, then, is this: The Last Wish (1993), one of two short story collections featuring the Witcher Geralt of Rivia; it wasn't published first, but The Last Wish covers the earliest stories chronologically (unless I misunderstood). Whatever. The videogame simply made me curious about a few things and I knew that I'd find out by reading; two questions in particular I wanted answered; I wanted to know how Geralt came by his nickname, The Butcher of Blaviken, and I wanted to know how Geralt first met Yennefer of Vengerberg because in the game their relationship is really intriguing and (so far) not explained much (at all). Also note the similar tendency (to Martin) in taking common names and morphing them into something a little more otherworldly. 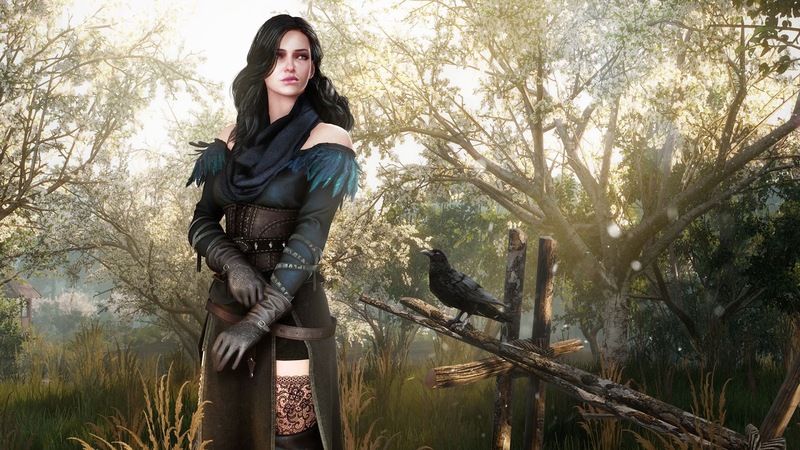 Yennefer. 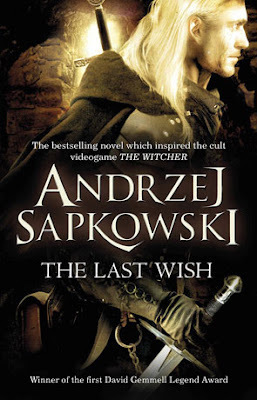 The Last Wish as it happens answers both these questions so I'm not as curious about the rest of Sapkowski's Witcher tales: Sword of Destiny (the second short story collection) and the so-called "saga books", Blood of Elves, Time of Contempt, Baptism of Fire, The Tower of Swallows, Season of Storms and Lady of the Lake. All right, that was a lot of exposition for what will be a hilariously short review but whatever. I kinda got lost in my own words (again); partially because I am writing on one screen while a variety of noisy YouTube clips featuring cartoon characters are playing on the other monitor. The Last Wish starts out pretty well; just the right amount of exposition (which is too little), and an underlying drive that pushes the story along. While the book is formatted to resemble a novel, it is obviously a number of short (some very short) stories stringed together to form an almost cohesive plot (some stories are more linked than others in terms of continuation). Style-wise it falls somewhere between pulp (Michael Moorcock) and George R.R. 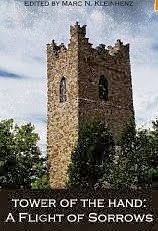 Martin's medieval fantasy. The language is terse, the descriptive prose sparse, Moorcock-style. The inherent grittiness is closer to Martin, with some of the characters similarly flawed and with dubious morality. What Sapkowski does with his series is that he takes a whole lot of cues from other fantasy tales and mixes it up. It is far more fantasy-flavored than Martin yet retains that edge of darkness. Actually, The Witcher is darker, because the author uses horror elements in larger doses. Geralt of Rivia is a genetically enhanced monster hunter, and most monsters he hunt are of the very disturbing kind (this is more evident in the video game where the visuals sometimes were disgusting - I mean that in a good way). At the same time, he throws in such tropes as Tolkien-like Elves and dwarves (including the Scottish dialect - again, that's in the video game) and they don't stand out quite as much as they do in The Wild Hunt. When I first met a dwarf there I was taken aback and thought it was a joke; I just didn't think they fit this kind of grimdark setting. However, I am always happy to change my notions and as I've played and read The Last Wish, the two bog standard fantasy races have kind of become part of the setting after all (there are also gnomes, and most of the "evil" races can be found too, like vampires and trolls). The nice thing is that in this setting (I believe it's simply called the Continent) the high fantasy elements are still subdued in a variety of ways; there's also a bit of (dark) humor that reminds us that we shouldn't take all of this too seriously. All right, so I finished The Last Wish and it was a quick read (for me) but halfway through I began losing interest. Now, a book has to be really awesome for me to read it with fury, and I did finish (which I don't always do) so it's probably safe to recommend it to fans of A Song of Ice and Fire. The language, translated from Polish to English, is nothing special, but it gets the work done. The Last Wish also reminds me a little bit of Conan the Barbarian (Robert E. Howard) in the sense that we get a number of slightly related stories all featuring the lone, grim hero traversing a fantasy world encountering monsters and damsels. Oh yes, the video game makes it look like epic fantasy, but Sapkowski's The Witcher is prime fantasy pulp fiction. Case in point: Most of Geralt's female allies and adversaries are scantily clad; most of them are sexually attracted to Geralt; however, they are a lot more independent and strong here than in Howard's fiction. Yennefer is a good example of this; it is not a given that she's weaker than Geralt in any sense. Geralt himself is a character with a lot more to him than you'd assume at first sight. In The Last Wish he is rather flat, but you can see some of the deeper elements explored in the video game here as well. Sometimes his dialogue surprises, he often says things that don't jive with the vibe the character initially gives off: what I am trying to say is that you need time to get to know Geralt, but once you know him he'll surprise you. The characters surrounding him are mostly stock characters with a quirk here or there. Some are given a lot of screentime (Dandelion, a bard who I found a bit trite as a character; the priestess Geralt often visits between adventures at a temple of Melitele; can't remember her name right now, oh wait, there it is, Nenneke) and some have a small role to play; these smaller roles are often - to use video game terminology - quest givers or quest objects/targets. I use the terminology on purpose because, and I don't know whether this is my skewed perception or not, the stories in The Last Wish do feel like a number of video game quests. The Wild Hunt plays to this, and it makes the video game feel extremely close in tone and style to Sapkowski's stories. CD Projekt RED really, really nailed everything. Right, time flies. 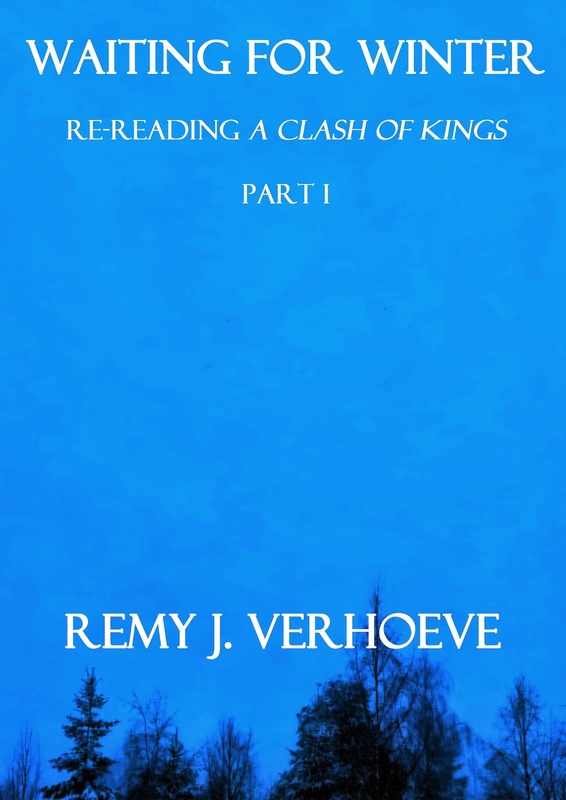 It's an easy read for a cheap price on Amazon, it takes a lot of standard fantasy elements and does not play with the tropes Martin-style but rather cherishes them and mixes them up, and are then given a solid coating of violence and bloodshed. The basic premise remains "monster hunter hunts monsters", it's about the brooding anti-hero. It was not bad but neither was it very good. Solid at times, silly at times, inventive here, a bit trite there. Hard kind of stuff to review. Nothing outstanding, yet I was entertained for most of its length; some tales were less interesting than others, of course. 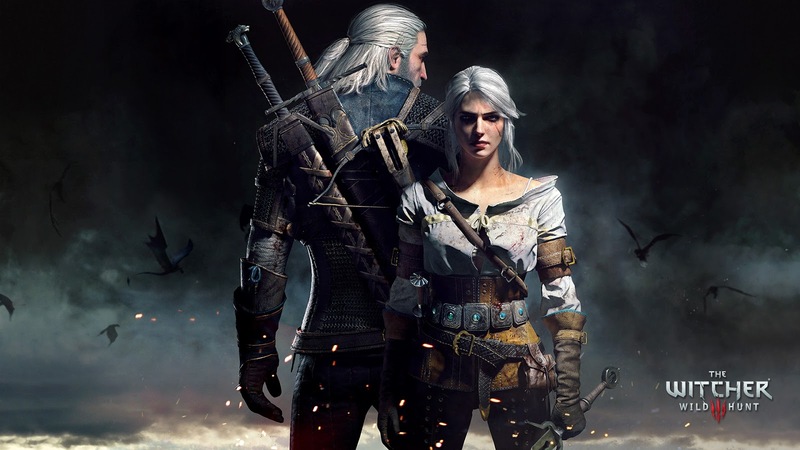 Sapkowski wisely saved the best part for the last - the story for which the collection is named, in which Geralt and Yennefer meet for the very first time. It...wasn't quite what I expected, and a reveal regarding the femme fatale / sorceress / witch Yennefer had my eyebrows rip themselves off my skull to shoot up toward the ceiling. The tale of the Butcher of Blaviken was a disappointment, too; the video game makes you imagine, perhaps, Geralt as the last man standing on a battlefield of blood and gore, more monster than man, soaked in death and power, but the actual story behind his nickname is a little less wowzers (but perhaps that's good; it is implied that the "butcher of Blaviken"-legend grew in the telling). If you're curious about The Witcher III: The Wild Hunt I recommend spoiler-free reviews on YouTube (to admire the visuals - and yes, spoiler-free; this game is very rewarding when it is allowed to surprise you, or twist a quest or what have you; really, it's way beyond what you'd expect from video game writers). Here is one (I haven't seen it all so don't blame me if spoilers show up; but it says spoiler-free). If you're curious about the books, well, I hope I gave you some insight; even though I am not quite sure what to think of it, myself. It's kinda like a guilty pleasure but usually guilty pleasures are less well written than this. I am not sure I will continue with the series, which of course is not a good recommendation, but it's not because it isn't enjoyable but more because there are so many other books I want to finish first.